You didn't need to check the calendar to know that autumn had officially arrived - just check the TV schedules for that. X Factor and Strictly battling for Saturday night ratings, and ITV wheeled out their reliable Sunday night ratings winner "DOWNTON ABBEY" for its 6th and thankfully final series. This series was particularly notable as in a recent episode, Downton didn't only jump the shark but it leapt to an unbeatable Olympian world record in shark-jumping. Who'd have thought it that we'd get a "distressing scenes" warning before Downton of all things, but that's what we got when where Lord Grantham's ulcer burst, with projectile vomiting and blood all over the place. Yuck. I'm posting this on 08.11.15, when coincidentally the final series of Downton will come to an end. Hopefully with no exploding ulcers. I loved the first series of "EMPIRE" (E4) and couldn't wait for the second one to start. Although if I'm honest, it took a little bit of time getting into its stride, complicating the story with just too many tangents and not one record company but two. But otherwise it's as you were: everyone's battling for the 'Empire' empire, Cookie is as wild and wonderful as ever, and the music (masterminded by old favourite of this blog Timbaland) is still as authentic. Remember "Wanted" - that very addictive Channel 4 show from the 90s where people went on the run and were followed by the 'trackers'? Well it's now been updated with a more sinister twist. 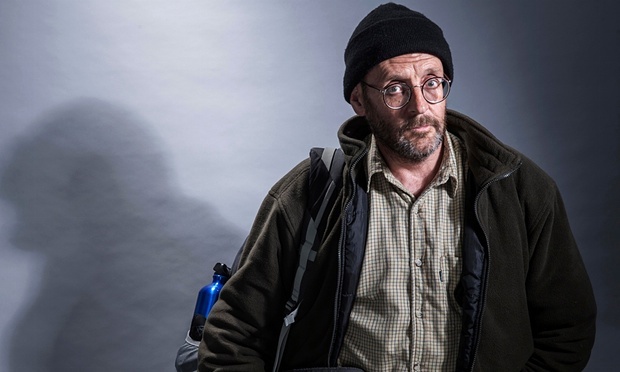 The back story for "HUNTED" (Channel 4) is that we are now living in a surveillance society and every move we make in the real and the digital world is being monitored. But can you escape the hidden lens of big brother? (As opposed to "Big Brother" which remains one attention-seeking laughing stock of a TV show). But anyway the real hero - or is that anti-hero - of the early weeks of Hunted was Dr Ricky Allen, a G.P. who managed to outwit his hunters all the way up to the Highlands, laying false trails and putting them off the scent. It was only when he got on a train from Glasgow to London that his time was up. Several others tried and failed; but thankfully there was a happy ending for two of the pairs who in the show's nailbiting finale managed to get away. There will be a second series but I can't help but think it'll lose the novelty and magic of the first one as potential runners will know how to act, where to go - and where not to go! Daniel Radcliffe continues with his quest to prove that there is life after Harry Potter. Looking like a slightly more puny version of Zach Galifianakis, he starred in "THE GAMECHANGERS" (BBC2) which was the strictly unauthorised story of the guys responsible for the Grand Theft Auto game. I am aware of this game and the controversy which follows it around with every new incarnation, but at the end of the day I didn't really see the point of this rather overlong drama. But then I'm more Pac-Man and Space Invaders so it's not my demographic. I really enjoyed "MUSIC FOR MISFITS: THE STORY OF INDIE" (BBC4) and my only problem with it was that it only ran for 3 weeks. So what is indie music? Is it about the indie labels or the sound or the ethos or the lifestyle? Or is it all of them? Or is it just a state of mind? Whatever, I loved this series but then I have always loved what is described as 'indie' music, particularly during the 1980s when I rejected mainstream music for most of the decade. This was a wonderful nostalgic journey for me. Back in 2007 the nation was horrified by the news of the killing of a young woman, Sophie Lancaster, who was murdered for no reason apart from looking 'different', for being a goth. "BLACK ROSES: THE KILLING OF SOPHIE LANCASTER" (BBC4) was a compelling dramatisation, with a heartbreaking performance by Julie Hesmondhalgh as Sophie's mother, and the young actress playing Sophie narrating her story through a series of poems. The shock of this hate crime has not reduced. So why was this excellent programme hidden over on BBC4 at 10.30pm? This should be compulsory peak-time viewing. 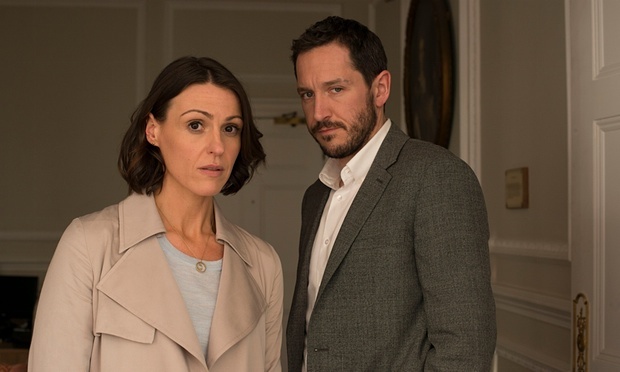 Due to my large telly backlog amassed while I was away on holiday, I missed the much talked about hell-hath-no-fury drama "DOCTOR FOSTER" (BBC1) but caught up with it due to good old iPlayer. Each episode cranked up the unbearable tension which resulted from the lead character (played by Suranne Jones) discovering her husband's affair. The final episode delivered the dinner party from hell and several red herrings, but in the style of many recent television dramas, it didn't deliver the ending that we quite expected, and it all ended in surprisingly civilised fashion. If the TV bosses had any sense they wouldn't bring it back for another series (three words: Broadchurch series 2) but yes, such is the modern-day greed for ratings at all costs that one successful series inevitably leads to an inferior follow-up. 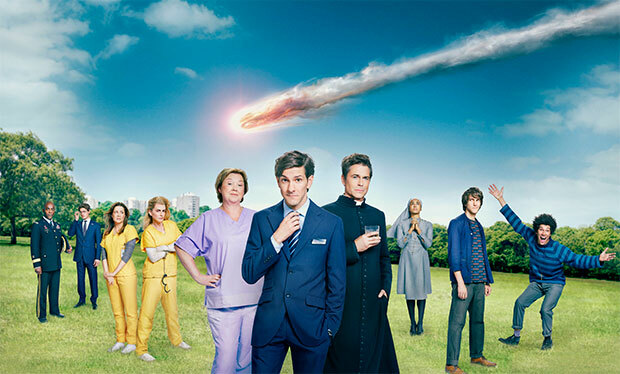 Finally, I want to mention "YOU, ME AND THE APOCALYPSE" (Sky 1) which is a genuinely original and inventive drama on Sky 1, cleverly weaving a number of stories from Slough to the Vatican (Rob Lowe excelling as a cynical priest) to the USA, with the world facing imminent extinction, and rattling along at a cracking pace. It's one of the year's best, and most underrated series. I feel sometimes as if I'm the only person watching this but it really is well worth sticking with.